Pacific Marine Center has a new mobile boat hoist from Marine Travelift. Pacific Marine Center is a full-service boatyard handling commercial fishing boats, tugs and pleasure boats. 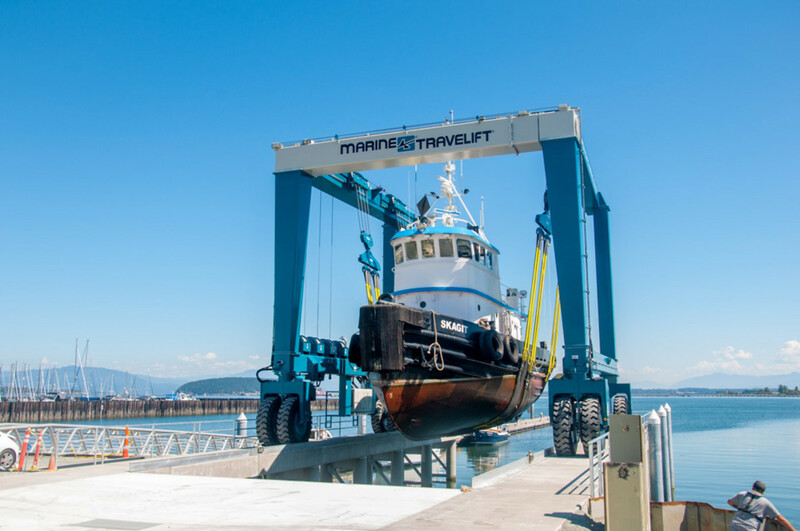 The boatyard wanted to accomplish two major goals with the purchase of the new boat hoist, said Dave Marshall, sales manager at Kendrick Equipment, the certified Marine Travelift distributor for the Northwest region of North America. Expanding its capabilities and targeting these specific size fishing boats is also allowing the boatyard to accomplish a second goal.